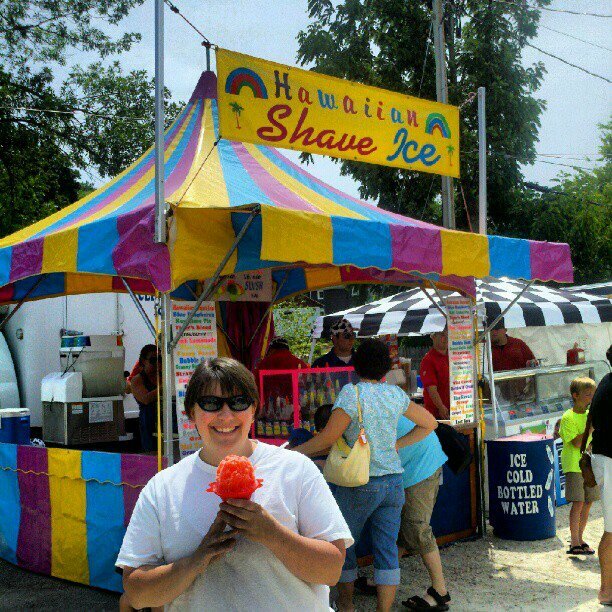 There is one thing I absolutely love about summer festivals – Hawaiian Shave Ice. Not sure how many years ago it was that I tried this delicacy at Summerfest, but from that day it was a new obsession. Of course, with my picky eater habits, I can’t have just any flavor. Of the hundreds of Shave Ice’s that I have had, I can probably count on one hand how many times I got a flavor other than Grape. This past weekend though I was at Strawberry Fest in Cedarburg, WI. As I got closer to the end of the festival I started seeing people walking around with Hawaiian Share Ice’s. The hunt was on!! I found the stand off of the street, tucked behind a few buildings. And, in honor of Strawberry Fest, I chose a Strawberry Shave Ice. It wasn’t bad…but, it wasn’t Grape. In this adventure of picky eating, this many be one habit I chose not to break.